Colourful hardwood spheres, cubes and cylinders provide pre-reading early maths practice. Great for working on sequencing patterns and visual perceptual skills. 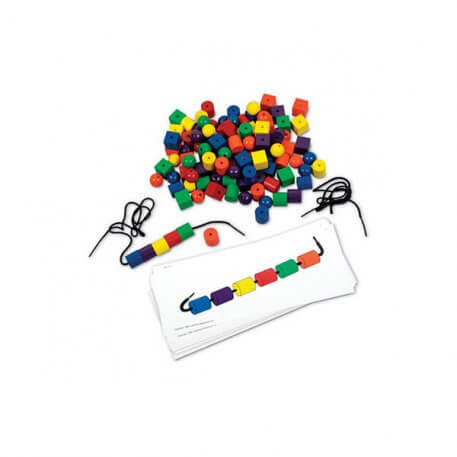 Includes 20 activity cards, 108 beads, two 92cm black laces with 2.5cm plastic tips plus Teaching Notes. Beads measure from 2 cm to 2.5cm. Cards measure 11cm x 29cm.